A beautifully bright and sunny creation Pat. I think it's always difficult on the craft front in the Summer, especially when it's lovely weather and we want top make the most of it. 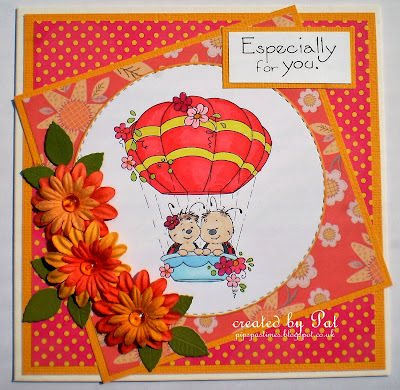 A bright and beautiful card Pat, adorable image and lovely design. I am singing - up up and away - in my beautiful balloon.